Holy S#*t, I pity the fool that stumbles out in front of this onslaught of teeth and muscle. Grrrrrate image!!! 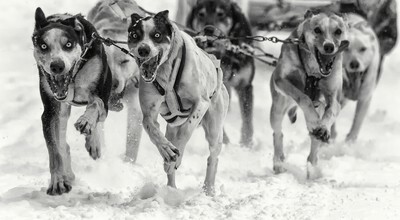 There is no equal to the energy of a team of Huskies just before the pin is pulled.